This is a flexible programme and can start at various times throughout the year and will take 16 months to complete. 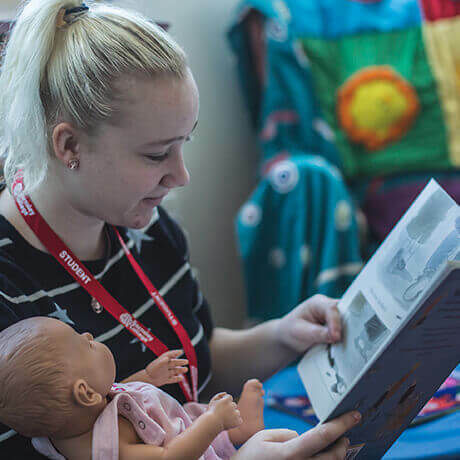 You will achieve a Level 3 Diploma in Children and Young People’s Workforce. This qualiﬁcation is designed to build the knowledge and skills needed when working with children and young people from birth to 19 years. It covers a diverse range of job roles and occupational areas in the social care sector. You will be assessed by your assessor using a portfolio of evidence, observations in the workplace and assessment tasks. You will be assessed both in college and in your place of work. The course is an E-portfolio; (on line portfolio) access to a computer/laptop and internet will be required. If this is not possible, a paper based portfolio could be accessed. You will study in the workplace.